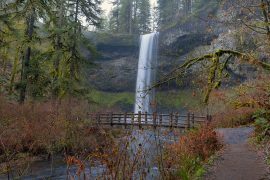 Troutdale, Oregon, just 15 miles east of Portland, is a charming small Oregon city known for its rich historical past and as the gateway to the Columbia River Gorge. The settlement was first known as Sandy, after the nearby river. In 1872, Captain John Harlow chose the location on a scenic knoll above the confluence of the Sandy and Columbia rivers for his farm. It was he who renamed Troutdale, for the trout he installed in the pond on his rural estate. 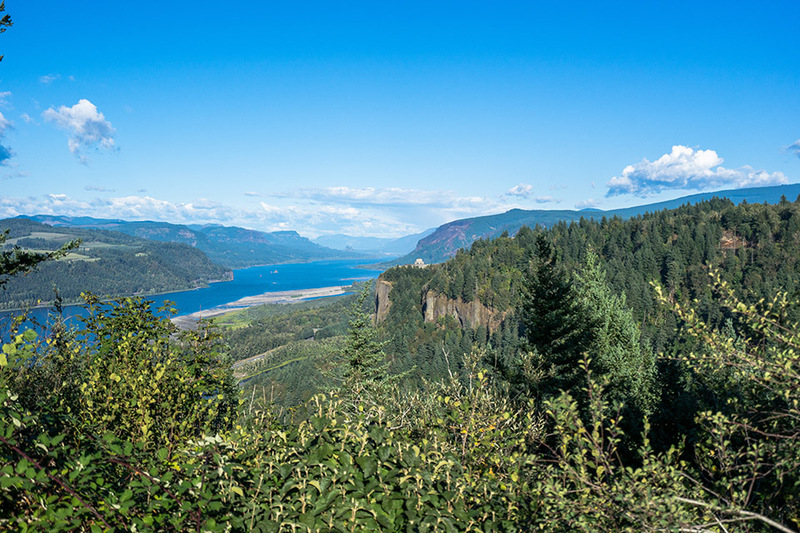 Since the installation of the nation’s first scenic highway here in 1916, Troutdale has been famous as the jumping-off point for 70 miles of gorgeous scenery in the Columbia River Gorge. 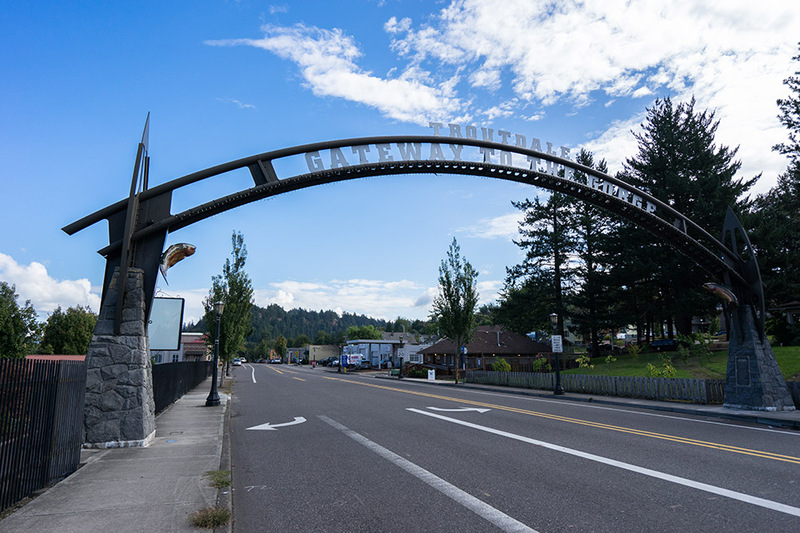 A breathtaking tour of the Historic Columbia River Highway begins under a downtown arch. 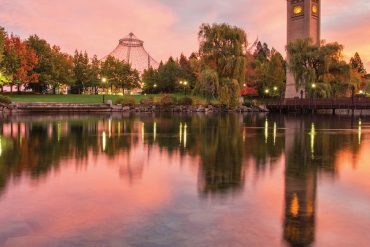 The city of 16,000 is also known for art and antiques, outdoor play and a few culinary surprises. Late fall is a great time to explore, when crowds thin, trees show their true colors and art galleries come alive with holiday cheer. 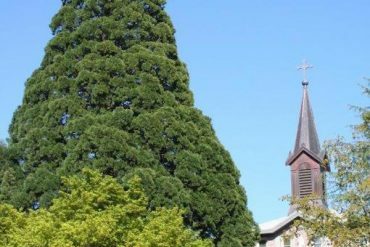 Spend your first day in Troutdale acquainting yourself with this friendly city’s history. Captain John Harlow was a sea captain from Maine and a Portland, Oregon, businessman before he became one of Troutdale’s earliest residents. Harlow’s original manor burned down, but the home of his son, Fred Harlow,, built in 1900, remains standing in Harlow House City Park, serving as the Harlow House Museum of the Troutdale Historical Society. The Harlow House is captured in time, outfitted with period items owned by the Harlow families and other Troutdale residents, including a collection of bone china. Another historic gem to be explored here is the Troutdale Rail Depot Museum. The rail line was established in 1882, thanks to a political push by John Harlow, as was a depot. Fire claimed the depot building too, but the replacement built in 1907 remains standing today. The Harlow House is open for tours on Sunday afternoons and the Rail Depot on Fridays. 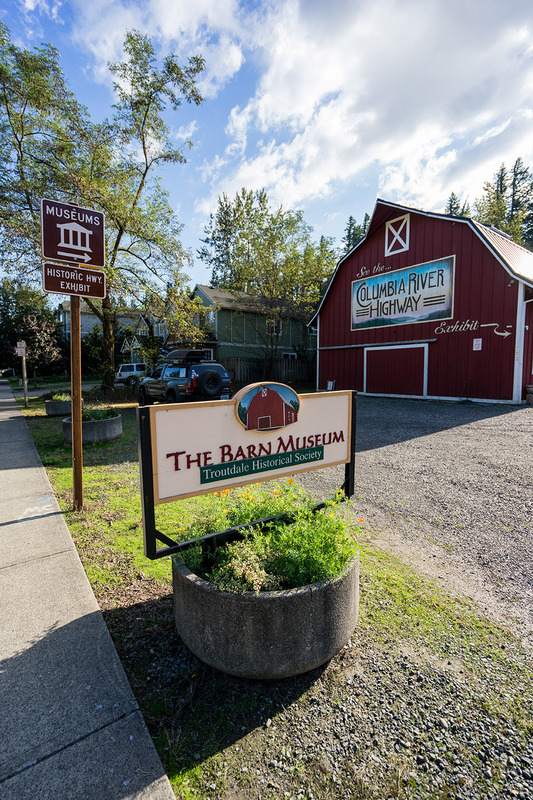 Round out your day of exploring Troutdale’s history by having a beer at what was once the Multnomah County Poor Farm. The grand building housed the ill and indigent on the east end of Troutdale at the turn of the century and was abandoned in the 1980s. 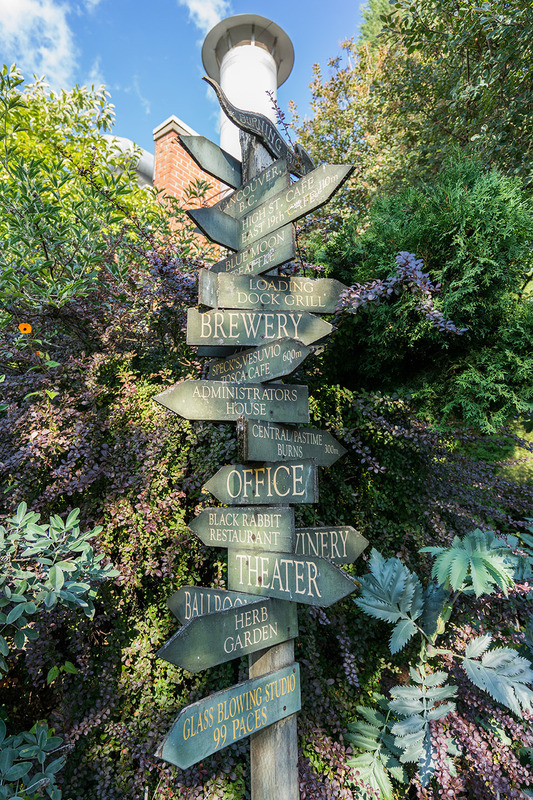 Enter the McMenamin brothers, who recreated the site as Edgefield, a sprawling 70-acre campus of hospitality. The main building has 100 guest rooms. 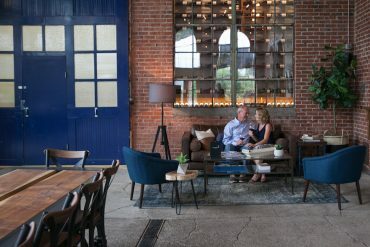 The site also boasts a brewery, distillery, winery, golf course, live music venue and several restaurants and watering holes. 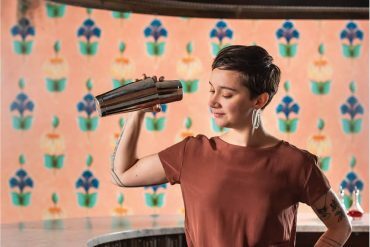 The Black Rabbit Restaurant is renowned as one of McMenamins’ best fine-dining destinations. 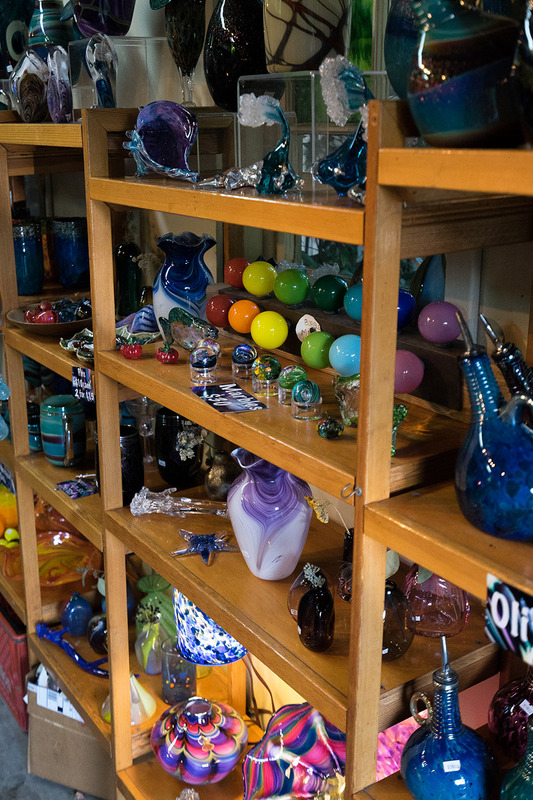 After dinner, soak in a warm pool, watch glass blowing or take a walking tour of the grounds as the sun sets. 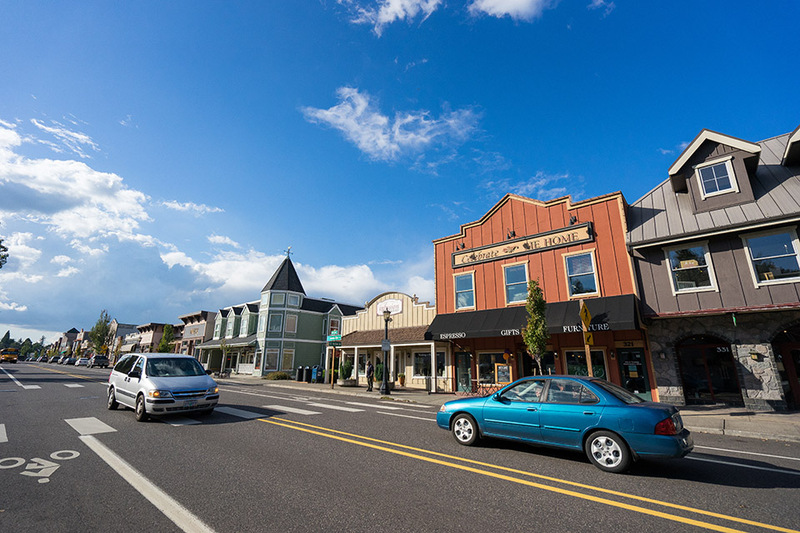 Troutdale has one of the most charming downtowns in the state of Oregon. Lovely storefronts fronted by flower planters and spacious sidewalks line the Historic Columbia Gorge Highway where it begins, with a hint of a river view in the distance to the north. 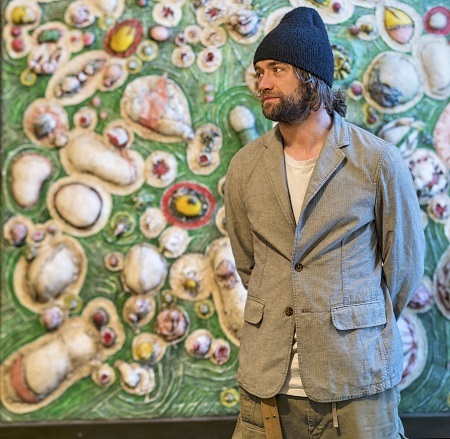 Begin an exploration of this city’s aesthetic and artistic side at the Troutdale Art Center. 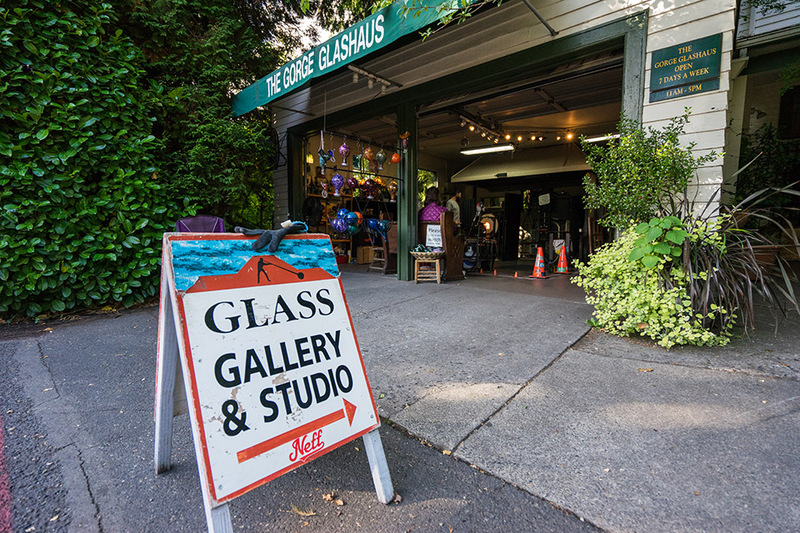 This artists’ collective invites guests in to see artists at work and purchase their work on the spot. Art Center founder Alison Brown does her work in bronze sculpture here, specializing in likenesses of the famous University of Oregon duck mascot. 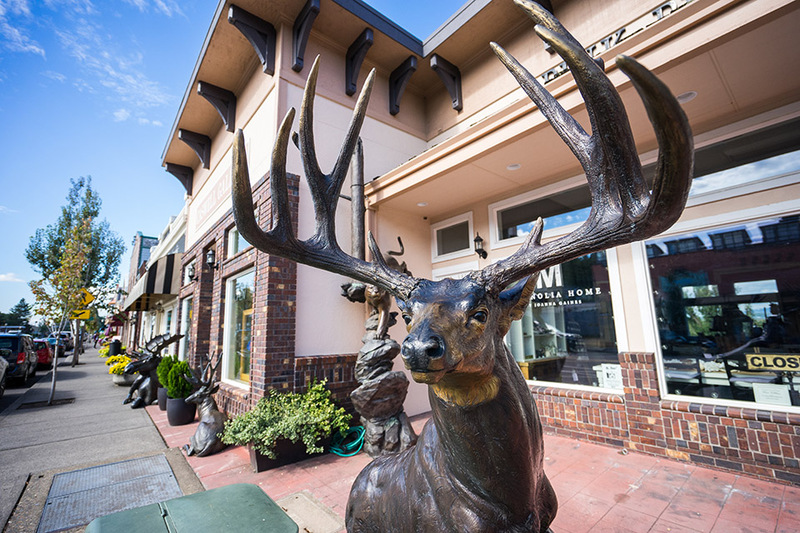 Her husband, Rip Caswell, has Caswell Sculpture, also downtown, where he creates bronze sculptures of wildlife. 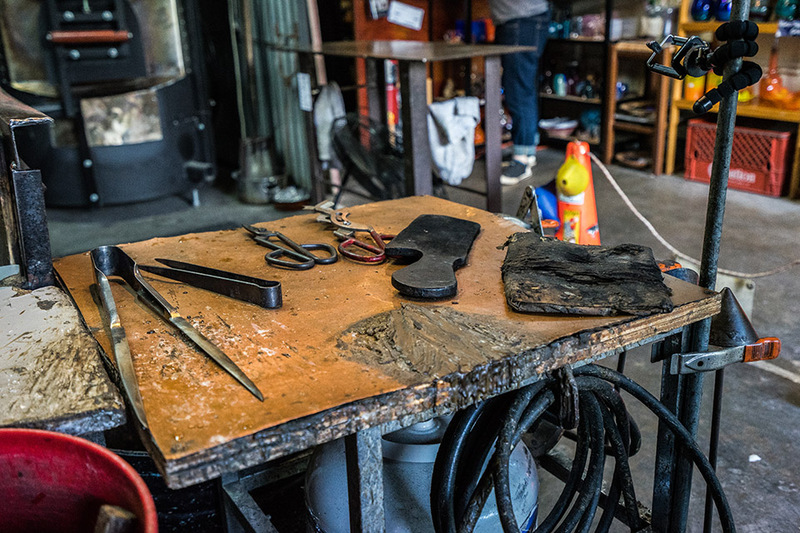 Caswell and Brown are also behind a bronze foundry, newly opened this fall. 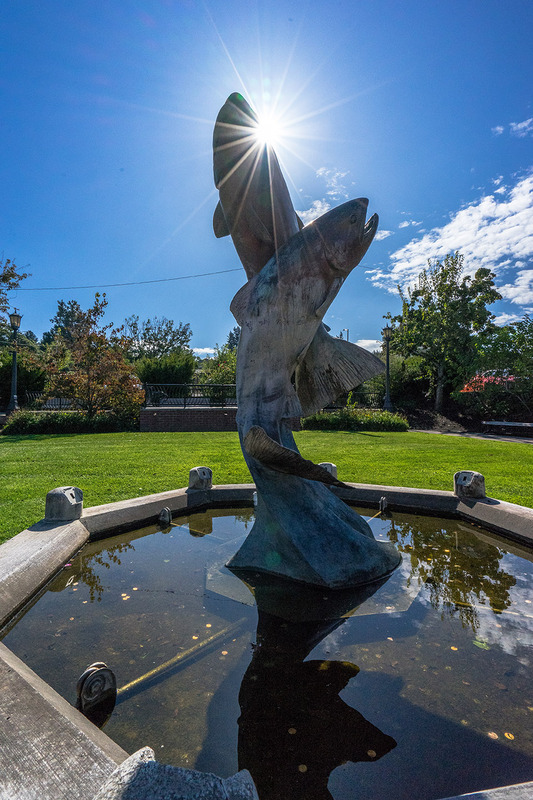 Take a stroll over to Mayor’s Square, where Caswell’s nod to his home city is the bronze sculpture “Rainbow Splendor,” the likeness of two trout leaping over a water fountain. 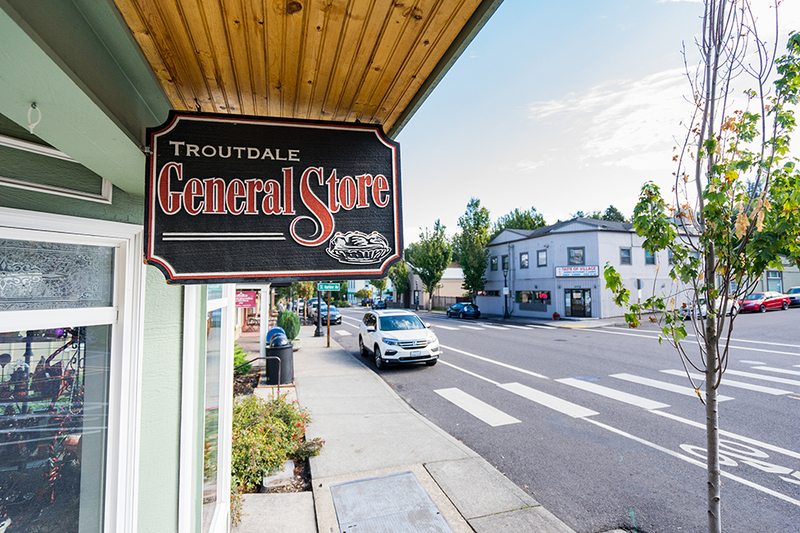 The Troutdale General Store is a massive, old-timey destination with three floors of souvenirs, T-shirts, specialty candies and more. 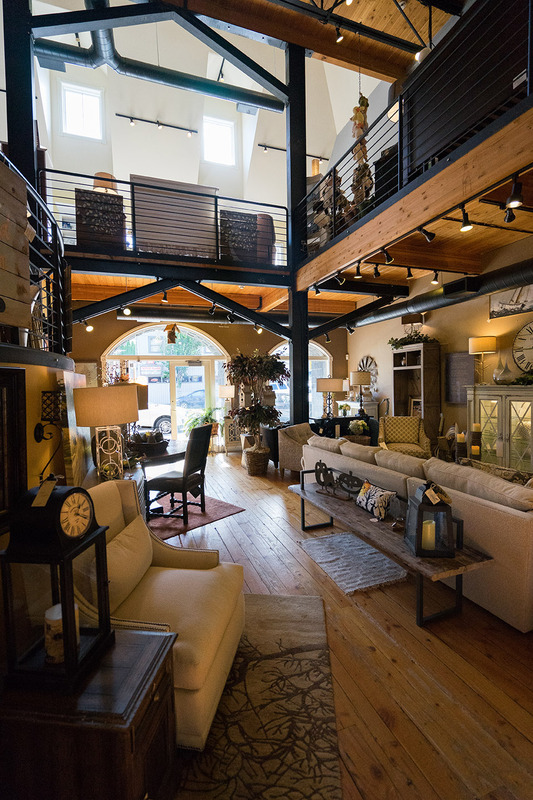 Perhaps the store’s highlight is the entire bottom floor, given over to holiday décor and ornaments. Don’t miss the long antique soda counter offering breakfast, lunch, espresso, ice cream and a large assortment of desserts. 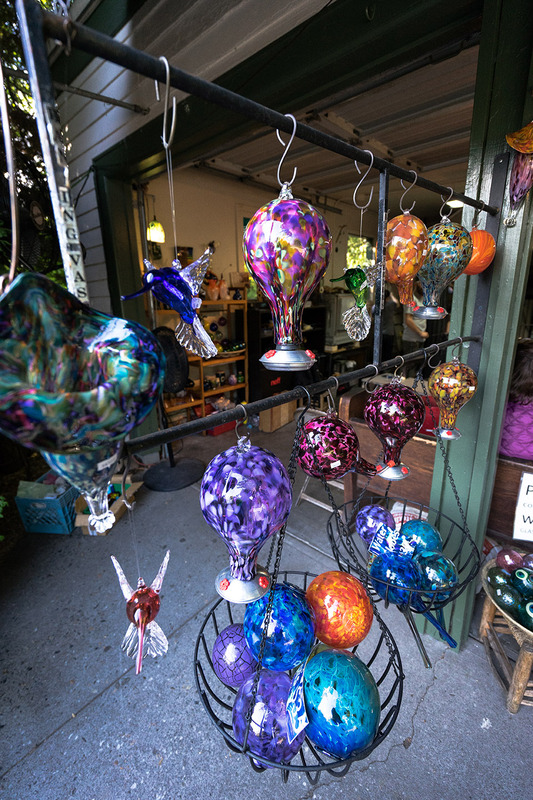 Stop in at a few more of Troutdale’s art galleries and antique stores, including Infusion Gallery, which supports artists with development and intellectual disabilities. 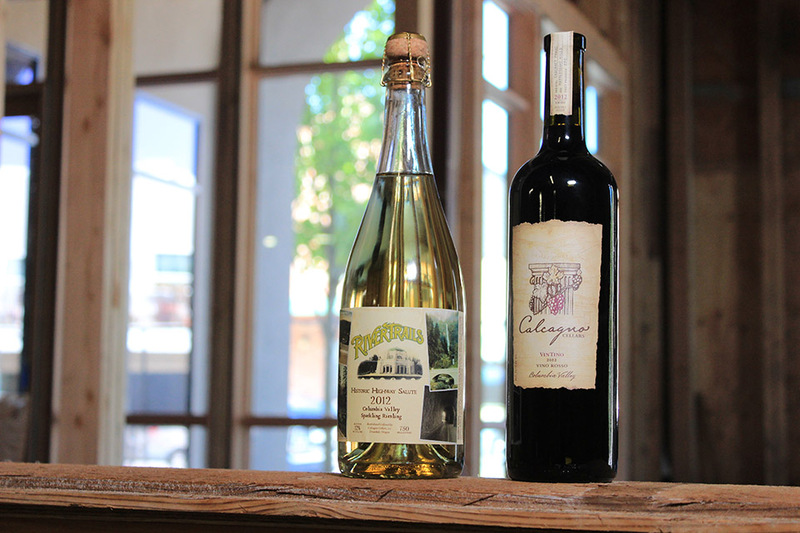 When everything on your shopping list is crossed off, visit Calcagno Cellars to taste some locally made wine. Grapes from the Yakima Valley are at the heart of this winery’s cabernet sauvignon, for which they are best known. Its newer Historic Highway Salute sparkling riesling is a delicious pour with a good cause—every purchase supports the Troutdale Historical Society. End the day at Troutini, a fine dining destination with an upbeat, casual ambience and delicious food. Chef Nick LaShomb creates artful, regional dishes at this downtown favorite. Try the scallops, ribs or a housemade pot pie, a glass of Oregon wine or beer, and a delicious pot of crème brulee. 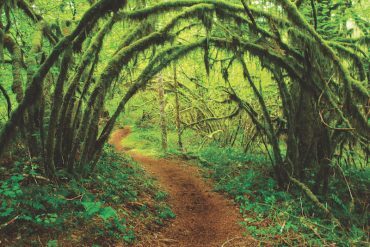 Troutdale was chosen as the place where the nation’s first scenic highway would begin. 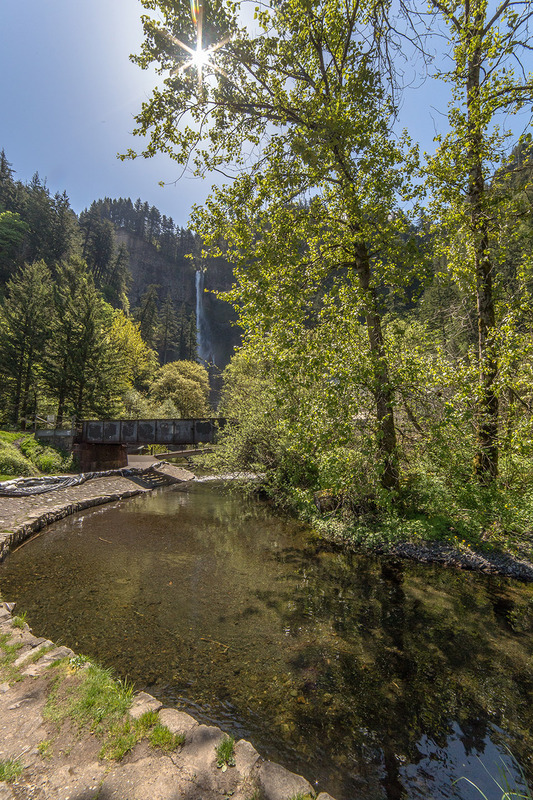 The construction of the Historic Columbia Gorge Highway in 1916 is the event that arguably put this modest city on the map for good. It was the era of the vehicle, and America was smitten with pretty places to drive their cars. 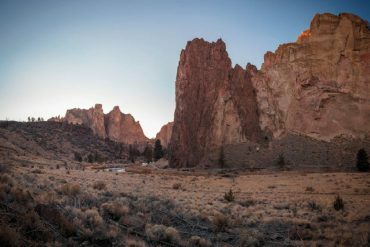 The designers of the highway put their all into its design, and it is a masterpiece of engineering and aesthetics that endures as one of Oregon’s true gems. Begin your day at the Barn Exhibit Hall downtown to learn about the construction and preservation of the “King of Roads.” Then pass under the arch that reads “Gateway to the Gorge” and wind east along the highway itself. Vista House offers your first drop-dead awesome views of the river and basalt lava flows that created this landscape. Continue on to visit waterfall after lovely waterfall, including Latourell, Bridal Veil, Multnomah and Horsetail Falls. 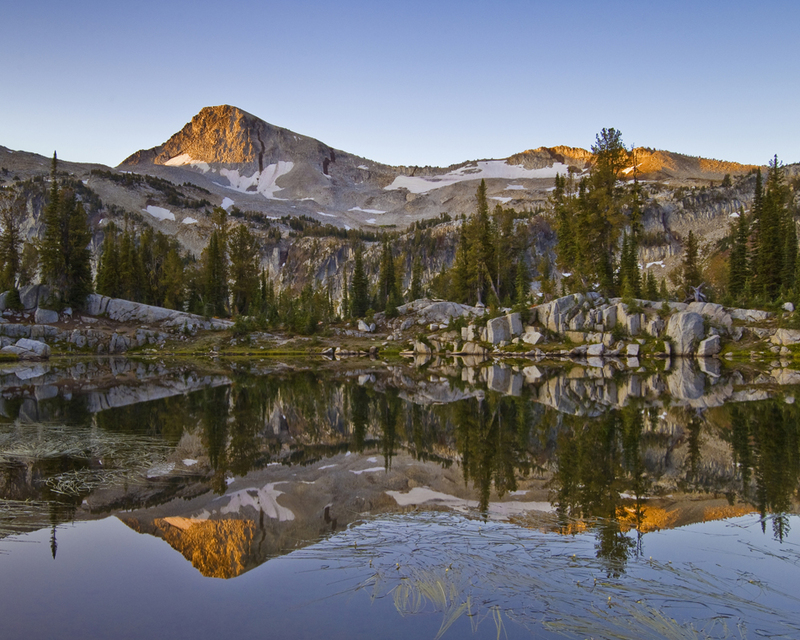 Each offers a hike if you’d like to stretch your legs, or simply gaze at the cascading water and snap some pictures. If you’d rather see the highway and gorge from the air, book a flight from the Troutdale Airport with Envi Adventures. 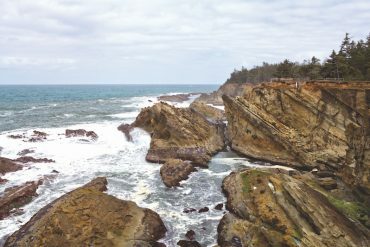 Experienced pilots will fly you over Vista Point and each waterfall to the Bridge of the Gods and back for a panoramic tour. When the historic highway opened, restaurants, tearooms, hot dog stands and dance pavilions sprang up overnight to feed and entertain travelers. 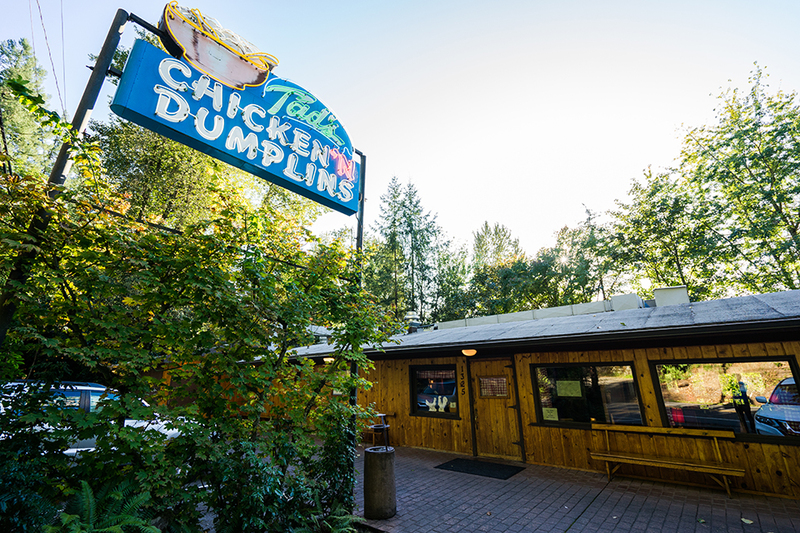 Hints of this time remain at two iconic destinations on the Troutdale end of the Historic Highway: Shirley’s Tippy Canoe and Tad’s Chicken ‘n Dumplins. Tad’s is 1920s-era roadhouse founded to serve early day-trippers Oregon fare—fish and chips, smoked salmon, and of course, chicken and dumplings, still anchor the menu. Shirley’s hasn’t been around quite as long as Tad’s, but this one-time biker bar turned Americana restaurant has been serving classic seafood dishes, sloppy joes and the like for a very long time. Let the afternoon slip into evening on the spacious deck under the tall Douglas firs by the Sandy River. 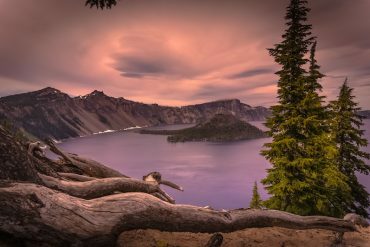 Editor’s note: The west Columbia Gorge region was seriously impacted early this fall by the Eagle Creek Fire. The fire broke out September 2 and burned throughout the month, consuming nearly 50,000 acres. As of press time, the fire was still not entirely contained. Many of the roads and natural areas between Troutdale and Cascade Locks are currently closed to the public, including the Columbia Gorge Scenic Highway, which remains closed indefinitely. Still, local cities like Troutdale are open for business and primed for recovery, and all in this story but the scenic highway are accessible now. See tripcheck.com and westcolumbiagorgechamber.com for more information. Have you visited Cannon Beach, Oregon? Plan your trip here. I so miss my monthly visits to Troutdale. You’re very welcome Roberta! I hope you’ll share some of your experiences on our facebook page! 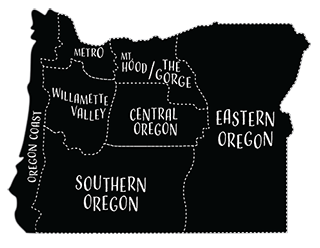 You describe the Multnomah County Poor Farm (now known as McMenamin’s Edgefield) as being located “on the east end of Troutdale.” I’ve been there many times, and seems to be on the *west* end of Troutdale. Thanks for the clarification Curt! We’ll be sure to let the author know.